David Speight is the author of many different forms of media from screenplays to computer programs. In his day job he is a database administrator, web designer and application architect. The off time is spent writing the Atlantis Novels series. After receiving a degree in film from USC (University of Southern California) Dave wrote a number of unproduced screenplays. In 2005 he dusted off one that was penned in 1993; he thought that this would make an interesting nine book series. 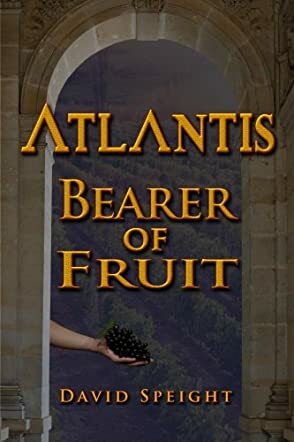 After additional research and six years of rewriting, the first novel was complete and titled "Atlantis VII: Bearer of Fruit." The final two books that follow were heavily outlined at the same time and "Atlantis VIII: Fall of the Gods" is in its final stages right now. This is a fantasy novel in which the author has creates a new world where people don't graduate from school until they turn 90 years old. It flows well, although the plot could work better if more action were added. The story follows a young man, Aedon, who will find out on his graduation day if he is the son of the king. For many years he has been the object of ridicule because of this belief. He is sure that if he has a perfect score on his graduation his father will be proud of him and maybe even love him. Aedon may be a prince in Atlantis but no one recognizes him, nor his mother's claim. Long ago, the Highest Prince Lord of the continent doubted his mother's claim that Prince Gilgamoeh had forced himself on her and that Gilgamoeh was Aedon's father. Since Gilgamoeh is the Lord's own son, he hopes the situation will be forgotten with time, if he sends the boy far away, thousands of stadia across the Sahada Ocean to a private educatory. Now that he is ready to graduate Aedon's promise to himself, that when he finishes his studies he will return to Atlantis will come to pass. He will find his father and prove that he was a worthy son and prince and receive his right place with the royalty. When at the last exam Aedon rejoins an older friend, Faeraud, who is actually a prince himself, all his dreams may be at an end. The problem with this friendship is that Faeraud is a prince who cares nothing for the rules. He is obsessed with taking the kingdom into his hands and will use anyone who might help get him there. For most of the book he makes Aedon an accomplice to all his brainless ideas...or are they? Aedon, for his part, is confused and divided between being perfect to get his father's love or the excitement that his friend's secrets offer him. This however, may cost him dearly. "Atlantis" is a good book for Young Adults, especially if they like futuristic tales. Great read, would make a great movie!!! A Middle Earth book for those who don't like fantasy. By transporting a world of ancient mystics into the high school politics of 90210, Atlantis has created a hip, ironic testament to human nature through the ages. This book is fast moving with well-defined characters who are either friend or foe of the main character, Aedon. Each chapter is important to the plot of Aedon's search for his father, Gilgamoeh, whom he has never met. His claim to be a prince of Atlantis leads him into many escapades often with his uncle, Fraeraud, who is very self-centered and uses people and events to further his ambitions to be named the next Prince Lord of Atlantis. However, Aedon's desire is more to find his father than to be considered in line to one day rule Atlantis as Prince Lord. He has taken an oath tht he will follow the teachings of Yaswhen, a former righteous king of Atlantis. This promise guides him through many temptations which entice him to leave the oath he has taken. Throughout the book the characters are a managerie of animals who talk as well as the humans who seek prestige mostly for themselves. It is a book of those who have royal ambitions to promote themselves to great superiority to gain both fame and fortune, and will stop at nothing to achieve this. Aedon, however, has honorable qualities which keep the reader's interest to the end to see if good can overcome all the evils stacked against him. The use of foreign language and the coining of new words and phrases are unique and also hold the interest of the reader. Aedon embarks on exciting adventures which take him to a forbidden forest, an icy mountain climb, a lake of ghosts and a bridge over a valley filled with pythons to obtain a life preserving fruit which will save the life of his grandfather and a very close friend. This book is an intriguing, fictionalized work well-written, fast moving and worthy of a close look at the mythical world of Atlantis.